Nanyang Huizhong (675?-775); 7th generation; studied under both 5th Patriarch, Hongren, and 6th Patriarch, Huineng; became one of Huineng's five dharma heirs. 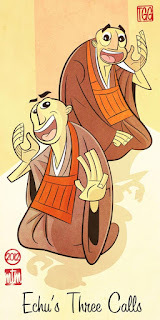 Called "National Teacher" because he was teacher to the Emperor, Nanyang appears in four of our koans: GG #17, BCR #99, BOS #42, and BCR #18 (BOS #85). The attendant was Danyuan Yingzhen, who became Nanyang's dharma heir. Their line died out after Danyuan. The national teacher said, "I thought I was standing alone with my back to you, but now I find that you are standing alone with your back to me." The National Teacher wanted to transmit the Lamp of the Dharma, and he had marked out his attendant as his successor. This calling was by way of a final test. "Danyuan," called the teacher. "Yes, sir!" the attendant responded, and kneeling at the doorway of his master's room, he mad obeisance. "Oh, you are here. All right, go back to your room." No sooner had the attendant returned to his room than the master called again, "Danyuan!" "Yes, sir!" Once more the attendant came to the teacher's room, knelt, and bowed. As before, the master merely told him to return to his room. Immediately, however, the teacher called again, "Danyuan!" For the third time the attendant came, knelt, and bowed. What does all this calling and coming and going mean? Calling and responding: nothing comes between. Pure cognition is effected. Danyuan heard the teacher's calling and answered with the responding samadhi. The second time and the third time he did not change. I long feared that I was betraying you. I had long feared that because of my poor instruction, you were not making good progress in zazen practice. But really it was you who were betraying me. The meaning of kofu ("betraying") is to act against the teacher's instruction. But the National Teacher is here using the word as the certification of Danyuan's passing the last test. In Zen the disciple is expected to progress further than the teacher. A Zen proverb says, "When your view is the same as your teacher's, you destroy half your teacher's merit; when your view surpasses your teacher's, you are worthy to succeed him." When a Zen teacher calls the name of his disciple, he means to knock at the inner door of the student's buddha-nature. If the teacher had only everyday business in mind, he would not have called a second time. He might say, "Bring me a cup of tea," or "Give me my cloak, as I feel chilly." In Zen, neither master nor disciple should waste time, materials, words, or thought. If Danyuan had no Zen, the teacher might have hit him before calling a second time. If it had been merely ordinary business between them, it would have been dealt with before the second call. In this koan, the teacher is an old man, and wants to make sure of the attainment of his disciple, like an old woman who checks the lock on the door two or three times before she leaves the house. Danyuan, the disciple, joins the teacher's efforts, and answers his calls again and again. Is it not a beautiful picture of beloved ons? If you want to learn Zen, you must understand how to give in. Repeatedly she calls out, "Oh, Shogyoku!" The meaning of the poem is that a young lady repeatedly calls out to her maidservant, "Oh, Shogyoku, Shogyoku!" and keeps on talking aloud to the servant -- not, however, because she has any particular business to discuss with the maid; her sole wish is that her lover, who happens to be near, may recognize her voice and know she is there. By calling to his attendant, Master Nanyang is trying to accomplish quite a different objective. The attendant Danyuan, however, read his teacher's mind. Quite innocently he answered "Yes, Master," and did not seem to be the least bit disturbed. This is calling with no-mind; answering with no-mind. No-mind is responding to no-mind in lucid Oneness. Even if a thought of discrimination moves, then subject and object are thousands of miles apart. This mystery of Oneness can be achieved only by actual training, where discipline is at once satori. If I call out "Danyuan!" I have already committed the transgression of giving a false name to the unnamable. And if you answer "Yes, Master" to my calling a false name, you have certainly transgressed against me. 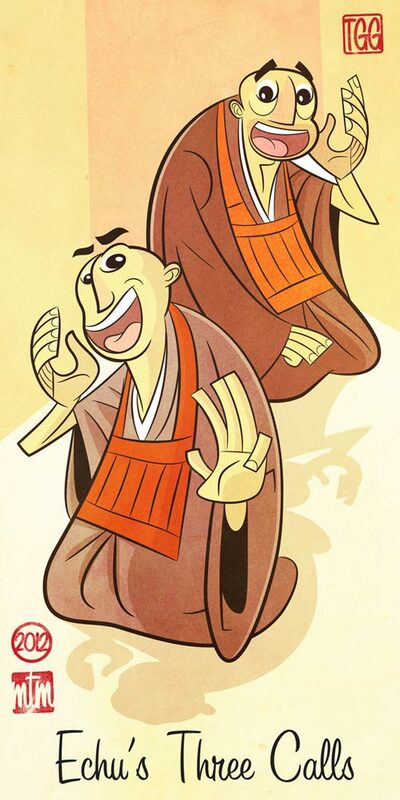 This transgression of the father and the son in Oneness beautifully depicts the characteristic of Master Nanyang's Zen. Since the attendant was a veteran monk, the second call was fresh and new and so was the third call. He never became dulled by repetition because he was no longer oriented to sequence. Every impulse from the vernal universe was of interest to him. The national teacher is showing that everything is independent and alone, in a dn with the whole universe. He means, "I though I was standing alone in the whole universe with you lost behind me, but now I find that you are standing alone in the whole universe and that I am lost behind you." With this the national teacher is recognizing the attendant's realization of the essential world. He is saying, "I recognize that you have realized you are standing alone in the whole universe, just as I am." When one thing or person manfests itself on the stage, there can be nothing else. Everything and every person is completely solitary. GG #4: Huo-an said, "Why has the western barbarian no beard?" GG #12: Every day Master Ruiyan used to call to himself, "Master!" and would answer, "Yes!" Again he would call "Thoroughly awake! Thoroughly awake!" and he would answer, "Yes! Yes!" "Don't be deceived by others, andy day or any time." "No! No!" If, as Buddha said, "Throughout Heaven and Earth I alone am the honored One," where do you come in? One response is to say the world is but a dream I am dreaming, which is fine for me but not so hot for you. To bring you into the picture some teachers introduce the "overself" or "cosmic consciousness": we are all part of one great mind. But if we invent a cosmic consciousness we simply complicate the question because we now have three in the equation, me, you, and cosmic consciousness. But let us not forget that when the monk asked Zhaozhou whether a dog has Buddha nature, Zhaozhou replied, "No!" Ask yourself, "Who am I?" or "What am I?" To enter into this question one must ask it in all of its concreteness, all of its thereness, or hereness. Are you something? Are you a sensation, an emotion, a thought? Obviously not; all of these come and go, but they come and go in reference to you. You will not find yourself even in the consciousness because each night you put consciousness on one side and go to sleep. So what are you? You are not nothing; nothing is a pure abstraction. So who or what are you? It is only through the door of yourself that you will come to the Other but this is not to say the Other is a projection or a dream; nor does it mean you are the dreamer. 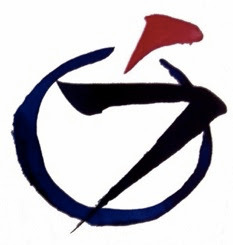 According to one way of interpretation, the metaphorical "disappointment" or "betrayal" in this case is the suggestion implicit in the calling and answering that "there is something," which seemingly could compromise the transcendence and freedom of Zen. By calling attention to this, the teacher counsels people not to become so attached to the framework of study that they lose the real Zen content. Another way of seeing the story is on the other side of the same coin: Zen masters have to teach their disciples not to chase their own imaginations; they have to teach them "nothing," as it were, so that they can unlearn the preconceived ideas that veil them from direct enlightenment. Yet another way to view the story is to see that the teacher was testing the assistant, to see if he had any hidden doubts that would make him vulnerable to being "hooked." Calling calls and stands alone, complete. Answering answers and stands alone, complete.